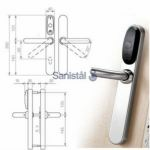 Clutch mechanism escutcheon when unlocked handle moves freely. ID technologies available: i-Button, DESfire, DESfire EV1, Mifare, Mifare plus, Vicinity, Inside Picopass, Legic, HID iClass, SKIDATA. Door status detector to track intrusions or door left open status (wireless escutceons only). Body and escutcheon constructed of steel. Dimensions: 282mm x 40mm x 20mm. Door thickness compatibility: 30mm to 115mm. 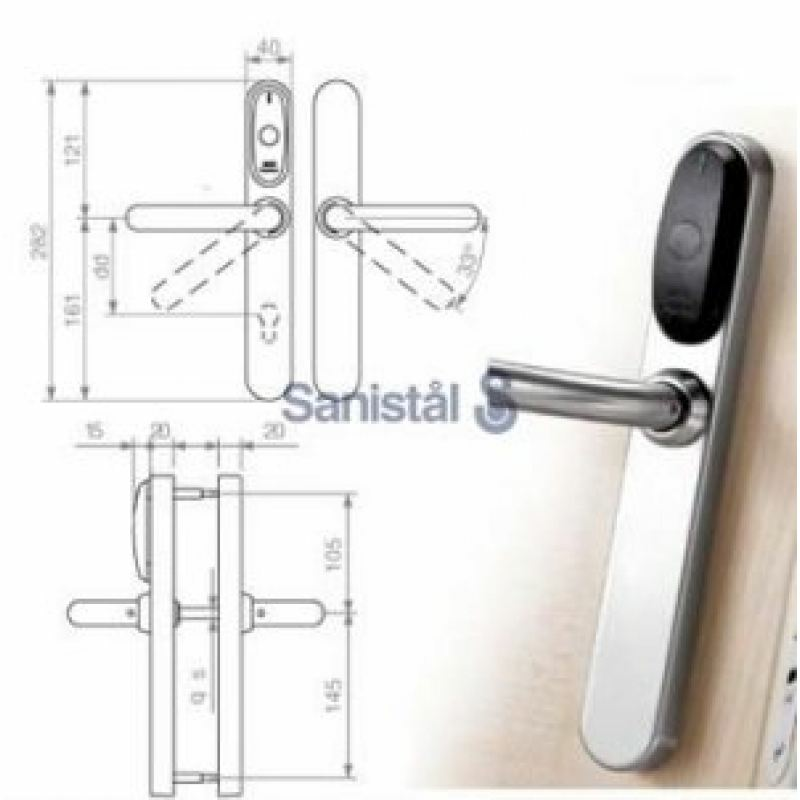 Handle to cylinder distance: 47mm to 110mm. Compatible with DIN mortise locks, European mortise locks and thin style mortise lock. Compatible with European profile, cylinders and Swiss profile cylinders. Square spindles available: 7mm, 7,6mm split, 8mm, 8mm split, 9mm and 9mm split. Mechanical override with audit trail facility available. Electronic privacy option through thumb turn or internal button. Optional 3 Lithium batteries FR03 - AAA 1,5V (see environmental conditions). Contactless versions: from 40,000 to 70,000 on 1 set of batteries, depending on the RFID technology. External escutcheon: -20Â° / 70Â°. Internal escutcheon: -20Â° / 70Â° (with Lithium batteries). Maximum number of users per door: 64,000. Maximum number of doors in a system: 64,000. Maximum events on lock audit: 1000. Time zones: 256.& Time periods: 256. Standard (locked at all times). Timed office (automatic locking at end time). Automatic opening (8 pairs of "hands free" timed lock and unlocks per day with holidays). Toggle (present card to lock, present card to unlock). Time toggle (present card to lock, present card to unlock depending on schedules).